Pumpkins capture our imaginations in a way few foods do...isn't it true? The thoughts of a Fairy Godmother transforming one into a carriage or the beautiful, evening glow of a hand-carved smile on a Jack-O-Lantern's face make you want to go find one! Did you know there are over 40 varieties of pumpkins? And if you're anything like us, by the time September rolls around, we can hardly contain our pumpkin pride! 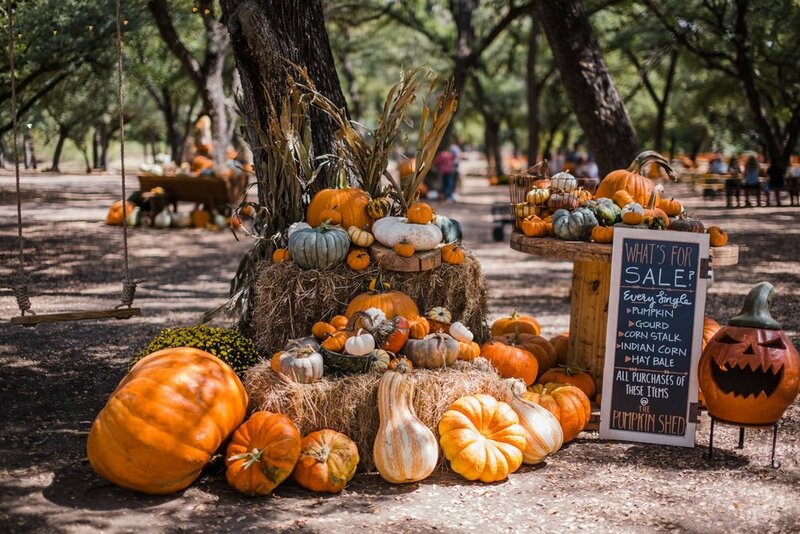 Shadow Creek offers pumpkins small to large in a variety of heirloom styles as well as traditional jack-o-lantern types for your family to choose the perfect one for you. While walking amidst the variety of gourds, there are many places to snap beautiful photos of your family as well...let's see if you can find all of them! Don't forget to tag us on Facebook and Instagram! Pumpkin pricing guides will be posted around the patch...because we can't contain the pumpkins in our Pumpkin Shack...there will just be too many! Besides having pumpkins and gourds of all shapes and sizes, we also have other fall harvest items that you can buy to decorate your front porch, hearth, table and more! Decorate your pumpkins right here at the farm! No need to have a mess at your home when you can decorate your pumpkins here at the Shadow Creek Pumpkin Patch! After paying for your pumpkins...you can add on these design packages to make them even more beautiful and personalized!